Throughout history, women have been regarded as complex creatures indeed, and that complexity extends to their body chemistry, too. 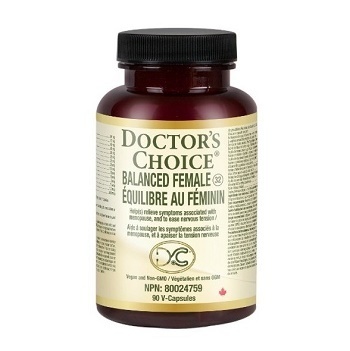 Doctor’s Choice Balanced Female is a special formulation intended to help women ensure the inner balance that results in overall feelings of running like a well-oiled machine. We have combined the finest ingredients, from the traditional to the modern, in a synergistic formula with one goal in mind: to balance the female body for its optimal sense of well-being. Helps support a modest improvement in exercise capacity in individuals with stable cardiovascular disease. Studies suggest that sexual maturity may be delayed by its deficiency. Arginine is found in seminal fluid, and is also involved in the functioning of a variety of enzymes and hormones. This herb is widely relied upon for relief of hot flashes, menstrual cramps, and morning sickness. 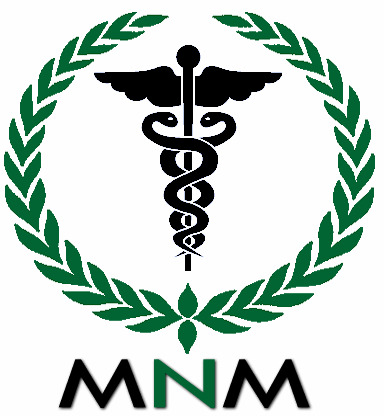 It is also useful in cardiovascular and circulatory disorders. This “ancient Chinese secret” increases the effects of ovarian and testicular hormones, and is useful in relieving hot flashes, menopausal symptoms, PMS, and vaginal dryness. Damiana is an ancient herb which stimulates muscular contractions of the intestinal tract and brings oxygen to the genital area. It is an energy tonic, a remedy for sexual and hormonal problems, and is known as ‘a “sexuality tonic”. Doctor’s Choice’s non-GMO Soy Isoflavones are plant-derived compounds which mimic estrogen activity, making them popular as a “natural” way to reduce menopausal symptoms such as hot flashes, and for other health benefits. Well-known for its multiple benefits, licorice root promotes adrenal gland function, and creates estrogen- and progesterone-like effects, as well as improving the quality of mucus, and lengthening intestinal cell life. The health benefits of red clover extend especially to women undergoing menopause, in terms of alleviating symptoms like hot flashes and mood swings. It is also used as a blood and liver purifier and is a traditional treatment for asthma, pertussis, cancer, and gout. Today red clover is often used as an alternative hormone replacement therapy, for high cholesterol, and the prevention of osteoporosis. Despite a lack of high-quality human studies supporting the use of this herb for any medical condition, red clover remains a popular supplement. Methylcobalamin is a co-enzyme, which is a highly absorbable form of Vitamin B-12. Reports suggest that it helps reduce neurotoxicity and excess glutamate levels, resulting in the lessening of fatigue, stabilization of mood, and improvement of memory. Widely regarded as a brain food, folic acid helps with depression and anxiety. Women taking oral contraceptives should be aware that these medications may increase the need for folic acid. 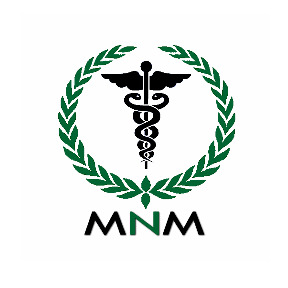 Supplementation is known to reduce the risk of neural tube defects when taken daily, both prior to becoming pregnant and during early pregnancy. Folic acid helps to form red blood cells and prevents folate deficiency. In herbal medicine rosemary is reported to help improve memory, relieve muscle pain and stimulate the circulatory and nervous systems. Useful for stimulating the immune system and improving digestion, rosemary leaf contains anti-inflammatory compounds, and is traditionally used to help reduce the severity of asthma attacks and relieving bronchial congestion. Bearing the self-explanatory nickname of “potency wood”, the bark of this small tree from the Brazilian Amazon is suggested for use in improving the psychological and physical aspects of libido and sexual function in both men and women, as well as for menstrual cramps and PMS. Helpful in promoting the overall health and well being of a woman during pregnancy, red raspberry is considered a tonic for pregnant women, boosting their overall health and immune system. Those having menstrual irregularities can take red raspberry tea to help regulate their menstrual cycle, and reduce the symptoms of premenstrual syndrome. Long-used by herbalists, chaste tree berry helps to regulate hormone imbalances in women and lower the testosterone levels in men. It is known for its effectiveness in the treatment of menstrual disorders, PMS, menopausal symptoms such as breast tenderness, hot flashes and mood swings, infertility, and decreased milk production in lactating women. A traditional herbal remedy used by Native American women to deter miscarriage, false unicorn root is still widely used to treat a variety of problems unique to the female reproductive system. The active form of Vitamin B-6, P5P is involved in more bodily functions than any other single nutrient, and affects both our physical and mental health. It is used in herbal medicine to help relieve premenstrual symptoms, and give relief from menopausal symptoms and menstrual pain. It acts as a calmative to ease nervous tension and help the body to handle stress. It helps soothe muscle and joint pain associated with rheumatic conditions such as rheumatoid arthritis, osteoarthritis, and/or fibrositis, as well as pain of neuralgia, such as sciatica. And a minimum of 6 months’ supplementation with P5P will help to reduce loss of bone mineral density (BMD) in post-menopausal women, when combined with adequate amounts of both calcium and Vitamin D. There’s still more: P5P helps to maintain your overall good health, and to metabolize carbohydrates, fats, and proteins.